So, your friend is getting married and you have to celebrate the singlehood for the last time before he/she takes the vows. Here are the best places in Asia to celebrate bachelor’s party with adventure. 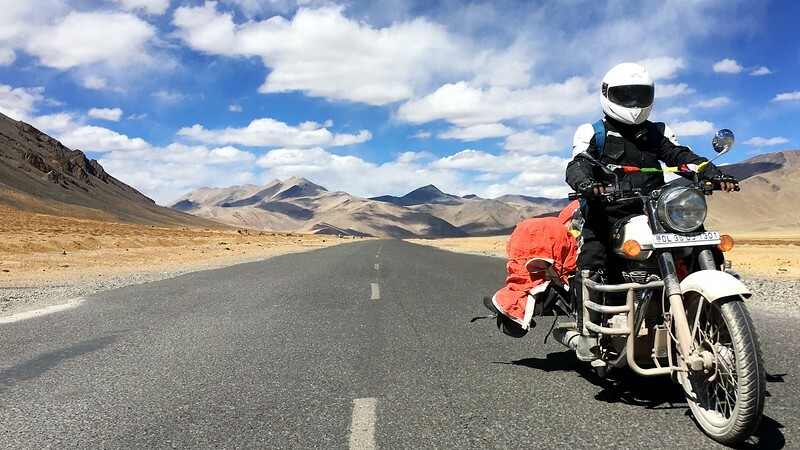 If you are thinking of celebrating your bachelor’s party with thrilling adventure then taking Ladakh bike tours will give you the best experience. From Manali to Leh, the capital of Ladakh, the entire highway is filled with breathtaking views, narrow roads, roads hit by landslides, uphill roads, narrow passages for one bike to ride and adrenaline pumping way to hit the right chords for your Ladakh Tours experience. You will have to carry the essentials if you are hitting the road because this will be the best road trip you will ever have in your lifetime, guaranteed! Universal Studios in Sentosa Island, Wild Wild Wet, River Safari, Adventure Cove Waterpark, GMax Reverse Bungy, Wave house Sentosa and other amusement parks are the places to visit in Singapore if you are looking for an adventurous and thrilling bachelor’s trip in South Asia on a budget. Among the most popular parks and things to do in Singapore, these amusement parks have brilliant reputation around the world and are quite popular globally. The Hippie Place of India, Goa is all about beach, beers and backpacking. The exclusive North Goa beaches are the crowded ones such as Calangute, Candolim, Anjuna, Baga and Arambol that have stunning view, great ambiance, easy going restaurants, extremely cheap food and drinks, affordable beach side shacks, party places and an amazing vibe. While in South Goa, you may find old-world charm architecture and less crowded beaches for a laid back vacation. They also boast of having the most vibrant parties beachside that are often private but few are open to public and managed by world known artists and DJs. If you are a big foodie and would love to fill your Buddha belly with the sumptuous range of cuisines, then Bangkok is your food haven. The high-tech Asian capital offers very cheap accommodation and a variety of entertainment options such as shopping and partying out of which tasting the street food is our favourite. The delicious meals, quirky items and sea food in Bangkok are world class and quite easy on the pockets. Once there, you must try the chicken in coconut soup, spicy shrimp soup, Thai style fried noodles, fried basil and pork and green chicken curry among many. Away from the crowded streets of Hanoi, are multiple islands that will give you a time of your life. The best among those is the Cat Ba Island which is a ferry ride away from the capital Hanoi and offers one of the best rock climbing activities in South Asia. With best value lodges set amidst the scenic views of the mountains, deep forests and clear blue waters, you may settle at any of the beach side stays and indulge in thrilling adventure activities including great rock climbing, kayaking and even hiking. This place is only good for the adventure activities after which you can chill on the beach in the night. If you were to toss between Manila and Boracay, the party destination would always be Boracay in Philippines. If you are thinking of partying your heart out with cheap drinks and food, overlooking the stunning views of the beach and with no worries about getting up in the morning with a hangover in a sweaty room, then this is the place to be. With over 4 Km of the beach dedicated to parties, the island has hosted some of the best DJs of the world in the bars and lounges that offers brilliant ways to get high and party hard. Koh Phangan is the home to the famous Full Moon Party that is a worthwhile attempt to offer buckets of booze, cheap food, ear-pleasing dance music, festival like vibe and bodies covered with neon paints. This party pulls around 30,000 people each month on the beach while the Half Moon Party takes place in the forest and is known to be even more fantastic than the original party. I am Himani Gaur - a travel enthusiast and part-time blogger. I believe that travel is a therapy that can heal any negative vibes and broaden one's perspective of looking at the world. I write about my travel experiences, tips to travel, guides, and more. Find me online at triphimani.com. Hi Himani! It is such an amazing list. I have been to Thailand twice but never joined in the Full Moon Party, which is a big pity for me. It seems to be a nice event. I will definitely do it when I am Thailand next time. Thank you for your recommendation!